Home » Blog » Agent Success Series » 16 Million in Real Estate, Year 3, through Open House Real Estate Leads! 16 Million in Real Estate, Year 3, through Open House Real Estate Leads! 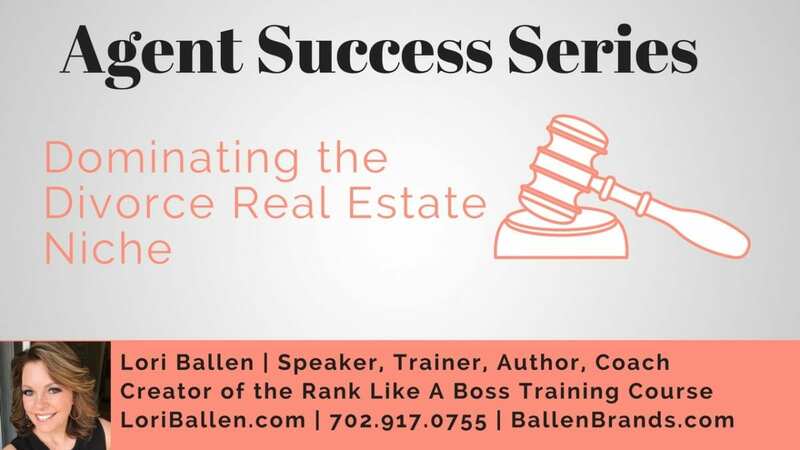 Hello everybody, it is Lori Ballen here with Ballen Vegas, your Las Vegas and Henderson real estate team, and Ballen Brands, your digital marketing company, and real estate websites. 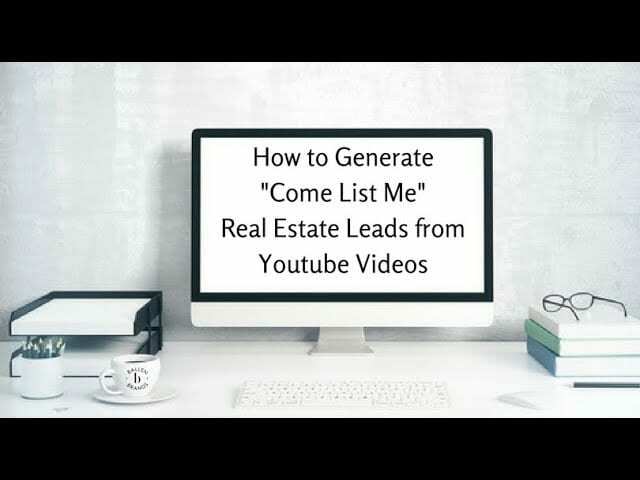 I’m excited today to be here with Dan Kenney from Keller Williams in Chicago, and today we’re going to really hit hard on generating real estate leads through open houses. This Interview is part of the Agent Success Series Podast.  Dan recently completed his third full year closing 39 transactions with a volume of over 16 million. 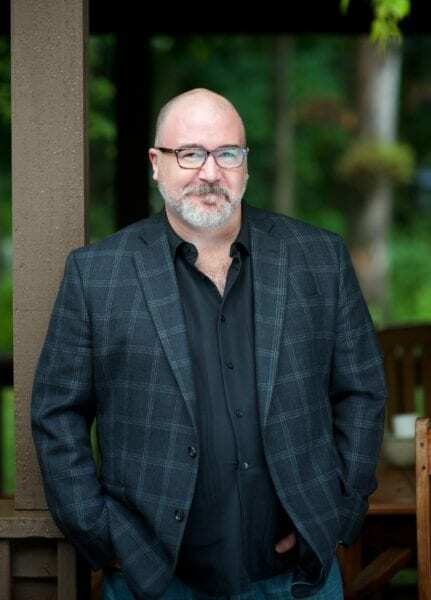 Prior to his career in real estate Dan spent over 20 years in the restaurant industry as a server, manager, trainer and customer service specialist. He worked in fine dining restaurants all over the country including several years at a top steakhouse just off the Magnificent Mile in downtown Chicago. He also spent several years working as a professional stage actor performing on stages around the country and across the globe including performances in Stratford, England, and Japan. In Chicago, Dan performed in productions at the Goodman Theatre, Victoria Gardens Theater, Lookingglass Theatre and numerous productions with the Chicago Shakespeare Theater. Now I tell you all that because now you’re thinking hmmm, well why real estate? Well, we’re going to let Dan tell you a little bit about that, but Dan recently completed his third full year, yes that’s right just three years as a licensed real estate agent closing 39 transactions with a volume of over 16 million. Dan serves in the area suburbs of Chicago, Homer Glen, Lockport, Lemont, New Lenox and Orland Park. Thank you, Lori, it’s a huge pleasure and privilege to be on your show. I actually first encountered you three years ago at my very first family reunion and you were teaching a breakout session on probably SEO or social media. However, at the beginning of that session, you started talking about micro-farming and going hyper-local and I had just moved to a beautiful area in the Southwest suburbs of Chicago and I decided when I got back from that family reunion I was going to plant the seeds for a geographic farm using your techniques. So you were my inspiration to start that and so it’s a great pleasure to talk to you and tell you how that’s turned out three years later. Yeah, I’m sure that I was doing an SEO class or something and absolutely, 100% I believe that we can take hyper-local geographic farming strategies and apply those to our online efforts and combine them with physical efforts. Maybe just talk to us about your steps into real estate and then where you’re learning some of your strategies besides my little inspiration there. And then let’s break it down for the listeners that actually want to be like you. So tell us why you got into real estate. I first got into real estate when we moved from the city to the suburbs because at the time my wife was pregnant with our first child and I didn’t want to raise our children in the city and I was also working very late hours in restaurants, which wasn’t very conducive to a family life. And it was actually the move itself that kind of inspired me to get into real estate because I had one broker in the city who sold my condo and a different broker in the suburbs who helped us purchase our home and the experiences were night and day in terms of quality of the experience. The agent in the city who helped me sell my condo was on top of his game, he was amazing, we had multiple offers within the first two weeks. I really felt well taken care of. In retrospect, I hired him because of his farming strategy. I used to get a postcard from him every month, which I would throw away of course until I was ready to sell. And then I was like, hey where’s that guy’s postcard? And so ironically he had the farming strategy that I’m now doing. Then we had a very different agent in the suburbs who wasn’t as on top of her game and I basically said you know what, I could do better than this and so I immediately got my license and joined KW. I didn’t interview with any other company, I heard they had the best training and I’m a very learning, training based person and dove right in. Have not looked back. So that’s kind of how I made the transition into it and what happened at the beginning, so I started the farming as I told you being inspired from you. However, that wasn’t going to get me immediate business, as you pointed out farming is a get rich slow strategy. It takes a while before you start seeing the fruits of that harvest. So I needed immediate business and I was in my first session of Ignite and that particular session happened to be on open houses. And at the time I also found out in that first session of Ignite that I was suffering under a bit of delusion of what it meant to be a real estate agent. I thought to be a real estate agent you got your license, you joined a company, they gave you a desk and then people walked through the door looking to buy or sell real estate and you simply said hi, how may I help you? And I quickly found out in that first Ignite that there was this other thing involved called lead generation and I started freaking out because I didn’t sign up to be on the phone all day, it was not something I wanted to do. However, what I realized in this class was that open houses actually are a form of lead generation and they are actually kind of like that delusion where people are walking through the door looking to buy or sell real estate and you simply say, hi how may I help you? So I immediately started doing open houses every week and for the first two years, all my business came from open houses. That was my only source of lead generation for the first two years in the business. Lori Ballen: Wow, you know what I love, I love a lot of the things that you just said and I’m going to pull out all those nuggets when I do the transcript because it’s so true that people do get this disillusion of I’m going to become a real estate agent and the business is just going to be there. And it’s just absolutely not true, you have to pick a lead generation strategy or two and give it everything you got. You have to model other successful people and you have to be so disciplined and so focused and not quit five minutes before the miracle happens. So all of that is 100% spot on. So you’re saying that the geographic farm was going to be a long game and you knew that so you specifically went after open houses. In your first two years all your money came off of open houses, which is phenomenal, and something I would highly recommend to a new agent because, or an experienced agent who isn’t paying their bills, you know there are a lot of experienced agents could learn from this as well. It doesn’t take a lot of money to do open houses, so this is something you can get really focused on, really sink your teeth into, create a great plan around and not have to put out a lot of money. So tell me, you’re getting started in open houses, how did you know what the heck to do? Sure. So, I basically did when I first started what I learned in that class in Ignite. And they used to have an entire session in Ignite on open houses, that’s no longer the case, but it was when I first started. And what they looked at was something called the 7th level open house, which is from the book “Shift” by Gary Keller, I’m sure you’ve read it. And there is a chart in there that shows the 7th level marketing system for an open house. And most realtors put a sign in the yard, put a balloon on the sign and that’s about where their preparation for the open house stops. That’s about all they do. The 7th level system you’re starting a week in advance. 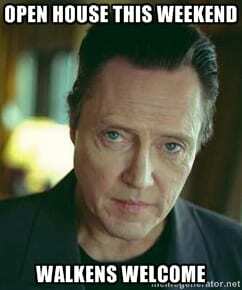 You’re doing call-arounds on the house, you’re doing social media marketing for the open house. You’re doing mailings for the open house, you’re doing door knocking for the open house. The whole goal is just to get people to the open house and then you can convert them into clients. And so I typically, when I first started out my first open house I had 12 people through, which I thought was horrible. My lender told me it was one of the best open houses she had ever been to. And now I average between 20 to 40 people for every open house and I typically walk out with my appointments set for the week. Lori Ballen: Okay, I’ve got an open house, I’m an agent, I’ve got an open house, it’s either my listing or maybe it’s somebody else’s listing that they have offered to let me go ahead and sit their open house. So first thing is, are you strategically planning did you say a week in advance? Dan Kenney: At least, yes, you want to start at least in advance a week. Lori Ballen: What’s your typical practice, how do you know like when you’re sitting down to pick open houses, first of all how do you pick them? Are they your listings or are they somebody else’s? When I first started obviously I didn’t have any listings so they had to be other agent’s listings. Now I do them with all of my listings and it actually starts earlier than a week before. It now starts at the listing appointment. 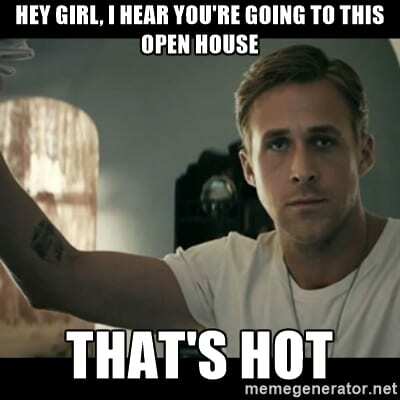 I set the expectation at the listing appointment that open houses are a huge part of my strategy to get their homes sold, and as soon as we sign those listing papers I pull out my calendar and I say when are we going to do the first open house? So I’d start well in advance of the open house and get it on the calendar. And then it begins at least a week before we get it in the MLS so that it aggregates out to all the other websites as well. Lori Ballen: How many open houses are you holding a week? Dan Kenney: At least one per week. Lori Ballen: Do you have a day of the week that you find is best for you for open houses? Dan Kenney: I prefer Sundays only because Saturdays are the days that usually people, it’s the end of the week and they’re working around the house or they’re hanging out at home, working in the yard. Actually, a great day for door knocking is Saturdays because people are usually home hanging out. Sundays are the days I have found that people get dressed up and go to church and go out to breakfast and go visit family. So they’re already out and about. However, I’ve done Saturdays and Sundays, Sundays attendance does go down during football season around here though unfortunately. Lori Ballen: Okay, so I’m assuming Sunday afternoons. Are you doing like an 11:00 to 3:00 or something? Dan Kenney: Usually 1:00 to 4:00. Lori Ballen: Okay, now next you set the date and you post this online. So are you first going into the MLS and setting an open house? And then what other online websites are you going to post your open houses? Dan Kenney: Sure, so from the MLS it’s going to filter out to all the big ones, Zillow, Trulia and Redfin and all those. We also do a Craigslist posting. We also do a Facebook post that we’re going to boost or a Facebook ad and we’re going to boost that in the zip code around, not only the zip code where the open house is but the zip codes around it because we have people moving from other zip codes into our zip code. We also do local buy/sell/trade Facebook groups in all the surrounding suburbs, I’m members of those and I always post the open house posts in there as well. Lori Ballen: Great are you on, do you guys have Nextdoor in your area? Dan Kenney: I think we do and that’s something I’m not using, is that something that’s been helpful? Lori Ballen: Yeah, I just really started, I’m not doing advertising in there just yet because I wanted to kind of explore what the dialogue’s like, it’s a social network very much like Facebook, but it’s all specifically geared around neighborhoods. And so the only way you can get into a Nextdoor group is to have an address registered that’s in that group, so it’s fantastic for like geographic farming if you live in that area. Or for an open house if you live in that area. So you’re not just going to be able to go blast everywhere, but there is advertising, so I’m going to actually do a test on the advertising because you can advertise in a different group. And I’ll do some training and do some reports back on that, but I’m thinking for open houses this can be a pretty powerful platform. I’ve just started talking to a couple people that are doing Nextdoor at a pretty high level and they’re swearing by it and being that it’s so local, so hyper-local I would think real estate could really benefit if we did it strategically not spammy, you know? Lori Ballen: Okay, so your Facebook ads, your Craigslist ads and all that, are you able to track when your people coming in the door? When they come in the door are they signing in anywhere or using an iPad or what is your process once they get there? Let’s start with, what’s your process finding out how they heard about you? Dan Kenney: Sure, I usually ask them how they heard about us and I used to do a sign in sheet and I no longer do that. Simply because, well I do it as a formality and it’s really because I was finding the information people was putting down was not correct or they wrote it illegibly so there’s no way I could figure out what it was. So what I do is have them sign in and then I ask them a question that I learned from Chris Suarez, do you know Chris? Lori Ballen: Oh yes, absolutely. I know Chris Suarez. are you out shopping for a home today or do you happen to live in the area? And it’s a really simple question and they’re either going to say I’m out shopping for a home today, great you know you’re working with a buyer. Or they say no, I happen to live in the neighborhood, great you know you’re working with a seller. At that point I basically kind of let them go, it’s very no pressure, I let them kind of walk around the open house. I tell them there’s food here, we have music and I’ll check in with you later. And then when I check in with them later, I have a very natural non-pressure conversation with them that eventually leads to them seeking something of value from me. Either a market analysis on their home or other properties that are for sale in the area. At that point is when I usually ask for their correct contact information and that’s usually when they give me the contact information correctly. Lori Ballen: I have this little thing in my head going back and forth, these little voices and one is saying that’s so good and I love Chris’s question and Chris is the king of open houses, amazing. I love all that, I love your non-pressure approach. 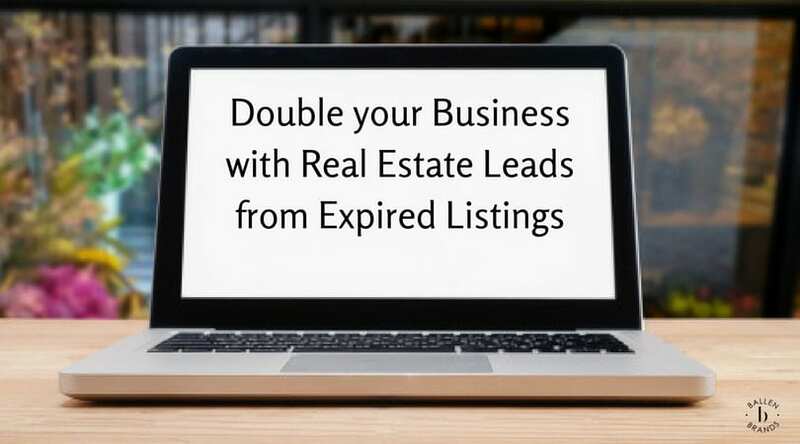 My lead generation side, the marketing side of me is going oh my gosh, you’re not capturing their info, so you’ve got some people probably walking out the door that could be potentials, there’s no way you can talk to everybody in time. I know that you get bogus information, it’s a numbers game. Same with what I do its web leads, we’re going to get Fred Flintstone and Donald Duck, we got to count on the ones that do end up giving us good information. Have you done a giveaway, gift basket, gas cards or anything like that so at least, and then put a little mark on there that says how did you hear about us so you can track whether Cragistlist is working or if Facebook is working? Dan Kenney: I have done a giveaway and you are correct, you are going to get more complete contact information that way for sure. I do still have them sign in and I do check those numbers, my experience has been though that the ones that I actually make the contact with there is when I get the highest correct contact info and usually book an appointment on the spot. Lori Ballen: Well, your easiest to convert leads are always going to be the people that raise their hand in some fashion, it’s just like with web leads, it’s the people that actually call that we have the highest percentage of actually converting because they’re saying hey, I want to talk to you. But yet I still want to get the info on the ones that didn’t raise their hand at that moment because they’re probably still potentials later on. And my experience with open houses, even though it was forever ago, my absolute best ever was when we gave away a gorgeous looking gift basket that title or somebody would donate or a home stager or plumbers or the cleaners of the house or whatever would donate with their branding on it and whatnot, so it didn’t cost me anything. Or a gas card and then the key for me was even if I don’t talk to any of these people, I want to know how they heard about us. That was my goal back then, their phone number could be bad, their email could be bad, but I need to know how that person heard about us so I know what marketing I’m doing is working bringing in. So that’s my marketing director hat on more than my salesperson hat on because I just wanted that info. So just it’s curious because when you wonder oh my gosh, well if it’s coming from Facebook, then I can actually check my reach and if I didn’t spend enough to reach everybody, but I know my highest traffic is coming from Facebook, I can throw a few more bucks at those Facebook ads and get another five people through the door. Dan Kenney: Absolutely, absolutely and I do ask where everybody heard about us and to be honest, the majority is Facebook. And that’s been the biggest impact really on my open houses, getting people there. And also on my farming strategy because something I do in my farm, I’ve actually grown quite a following on my Facebook page in this little area that I live in and people whenever I ask them how they heard about me, they’re all like oh, your on my Facebook feed for some reason, you always show up in my Facebook. Lori Ballen: How do you know they’re already in your farm when they like it? Dan Kenney: Well I’ll look at what town they live in if I can find that information and then I’ll look them up in the tax records. Lori Ballen: No, but you said when somebody likes your post and they’re in your farm then you look them up, but how do you know, are you looking up everybody who likes your post to see if they’re in your farm? Dan Kenney: Yeah I go door knocking and say hey, my name is Dan Kenney I’m a realtor, I live in the area and they’re like I know, I’ve seen you on Facebook. And I’m like really, awesome, and then we start a conversation from there and it’s a great way to get a door knock that is not a weird stranger on your front door. Lori Ballen: It sounds like you’ve got this incredible strategy where it’s almost a full circle where your lead generating on Facebook, but then you’re capturing and cultivating through Facebook and then you’re going out on door knocking with the Facebook branding behind you, which is marketing 101 when it comes to radio and television and Facebook is the same thing. So you’re creating this brand awareness and it’s helping you in this full circle and then including your open houses. So you’re saying that you are asking people how they heard about you and you’re hearing the majority of them saying Facebook. So on that note, what is in your Facebook ad for your open house? Dan Kenney: Sure, it is typically the best photo of the house, doesn’t necessarily have to be the front of the house, it could be that the kitchen is the best photo or they got a killer bathroom. I might do a couple different photos just to tease it and then it’s basically just open house this Sunday, 1:00 to 4:00, for more info and I usually have a link where they can find out more info on the property. And I also have the learn more button where they can go get a home value estimate and I capture leads that way as well. Lori Ballen: Okay. So are you sending them to just your general real estate website that has that IDX page property info or do you have something special you’re sending them to? Dan Kenney: So I’ve been doing the SmartZip thing for my farm and so I send them to that home pricing website. Lori Ballen: Okay, so now your people come into your open house and you welcome them, you ask them the key question there and then you let them walk around. You’ve got snacks out and I heard you say music, do you have something you play? Dan Kenney: Sure so the way I look at it and this is what I talk about in my class all the time and why this is so important. I think there are two different approaches to an open house, you can either be what I call the furniture store approach or, and you’ve been to probably a furniture store before and you know what happens the second you walk in the door, which is your attacked by every sales person in there and then they follow you around the whole time. It never really allows you to let down your guard and relax. Or you can take what I like to call the cocktail party approach and that is to create the atmosphere of this is a cocktail party in your home for your closest family and friends and then you treat everybody who comes through the door like that. And I can tell you that the connections you make are so much more genuine, they let their guard down much sooner and yes I have music playing, I usually have some drinks and nothing fancy, maybe cookies and water, nothing crazy because they’re not there for the food. It’s just more of a something for them to do while we very casually chat and get to know one another. Lori Ballen: Okay, great. And then out where your snacks and water are and stuff, do you have any printed materials out? Dan Kenney: Yes, I usually have a brochure on the house or a flyer or something and then I usually have information about my business. Although interestingly, something I learned from Chris that he has done recently is he doesn’t have any printed material, he just carries around an iPad and shows them on his iPad and then says well, would you like me to send this to you? Great, what’s your email and your cell phone number? And then that’s how he’s capturing their contact info. Lori Ballen: What does that conversation look like? So you’ve got somebody that walks around the home and they’re looking very interested and they spend quite a bit of time and then they’re starting to walk by you towards the front door to leave. Dan Kenney: Some people don’t want to talk to you and some people just pop in and they get out as fast as they can. Most people I find, I’ll circle back to them before they’re heading for the door and just check in and say how you doing, how’d you hear about us, what do you think of the house and you know, something very casual. I don’t talk much about the house either, I mostly talk about them, so like, do you live in the area? How long have you lived here, what do you like about living here? If you were going to move somewhere where would you move to? You know, things like that. Lori Ballen: I see so you’re keeping it more cocktail party like and you’re just kind of bringing up, you don’t have a set script, but you’re bringing up a little bit of general conversation about them like do you live in the area and then you’re looking to see if they might bring up the conversation around buying a house rather than you’re not just coming right out and saying oh, are you looking to buy a house? Dan Kenney: Precisely, I mean obviously they’re looking to buy a house because they’re at an open house. So I already know they’re either a buyer or a seller or both. And so, I look at it more like dating, like people often ask me do I ask them if they’re working with an agent and I say well, if you were out at a bar or a club and you wanted to pick someone up as a date, would you go up to them and say hey, are you dating anybody? You wouldn’t start the conversation that way. You know, you would find out that information because it’s very important information to find out because we don’t want to solicit another agent’s business. However, you’re going to go about it in a much more casual way, you’re going to get them to warm up to you. Once they’ve warmed up to you, I usually find that in the open house situation, then they usually ask me well do you have any other properties or would you be willing to stop by and look at my house sometime? I’m like great, what are you doing today after the open house, I’ve got nothing planned. I always leave time open after the open house because I have gone right into listing appointments right from the open house. Lori Ballen: Yeah and how about showing homes? Have you ever gone and shown homes in the area right after? Dan Kenney: Occasionally, I gave someone my app once and they took it and drove around the neighborhood and they found a house and then came back and said can you go show me this house? So, it’s a little dicey you want to make sure they’re pre-qualified and everything, but I have done that occasionally. Lori Ballen: Yeah. How many open house signs are you putting out? Dan Kenney: I always tell people as many as it takes, so I look at a Google map of the neighborhood and I really make it like breadcrumbs to get to that open house. And I do at least four major intersections around the neighborhood so four large branded, directional signs that I get out in advance so that people are seeing my name and my phone number three to four days in advance of the open house. And then smaller directional signs through the neighborhood that are leading people directly to the open house so that it would be impossible for them to not find me. Lori Ballen: Okay I love that you said that very pointedly, four key intersections with branded open house signs, which is so, so important especially if you’re repeating in your geographic farm, created that brand awareness and having signs that are consistent with your brand that people see over and over and over and over again. That’s key. So about how many signs then? Dan Kenney: It depends on the intersection and the layout, usually at least one for the four major intersections and it’s really a simple sign. It’s just my name, my phone number and a rider that says open house and a rider with an arrow pointing the direction of where it is. And it’ll probably say Sunday 1:00 to 4:00. And what that does is people going to work or going to school get used to seeing that for a couple days in a row and go oh, there’s going to be an open house over there. And then the other thing in terms of brand awareness as you were talking about, every week the number of signs I have in my village goes up, doubles. And so every week it looks like I’ve got so many more, such a greater presence in that area because I put out all these open house signs. Lori Ballen: So about how many open house signs per open house? Dan Kenney: At least 8, probably with often times 10 to 12. Lori Ballen: Okay, yeah, I think we used to put up about a dozen, but depending on your areas and how many opportunities you have to put up those signs. And then when do those go up? Dan Kenney: Yeah. So, the rider on the sign in the yard for the open house sign that we’re going to put in the yard of the house itself goes up a week in advance. Lori Ballen: You’re putting an open house sign with the information with your yard sign right there on the house? Dan Kenney: Absolutely, we want the neighbors to know. Lori Ballen: Yeah, that makes sense. And then when are your directional signs going up? Dan Kenney: Usually three to four days beforehand, the major intersection ones. Lori Ballen: Three to four days, but what if, oh but they say the date and time on them is why you can do that? Dan Kenney: Yeah they say Sunday 1:00 to 4:00. Lori Ballen: That’s really smart, that has got to be helping your attendance. 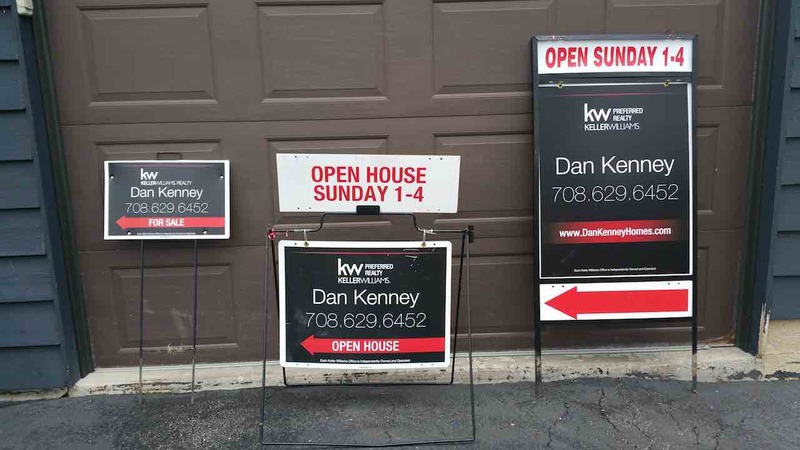 Dan Kenney: Yeah, so what happens is that people are going to work or to the grocery store every day and either subliminally or whatever they’re seeing, oh there’s an open house there Sunday. Oh, there’s an open house over there Sunday. Oh there’s an open house over there Sunday. And Sunday rolls around and they’re like what do you want to do today, I don’t know I think there’s an open house over there somewhere, let’s go check it out. Lori Ballen: Yeah that’s smart. Now, are you paying somebody to put up your signs or are you doing it yourself? Dan Kenney: Right now I’m still doing it myself. However, I am interviewing for a buyer’s agent as you said at the beginning who will hopefully be doing that for me and because I live in my farm, I literally can do it on my way home from work. And Sunday morning when I put out my balloons, I literally get up and I roll out of bed, I grab my coffee, I go get some balloons and then put them out. I’m home in 10 minutes. That’s the nice thing about farming where you live. Lori Ballen: Are you putting balloons on every sign? Dan Kenney: Strictly the major street directional at the major intersections and then on the house itself. It’s just sort of that added, I use those foil ones that shine in the sunlight, it’s that added, I call it cat advertising because you know it shines, it’s shaky and it gets people’s attention. Lori Ballen: Yeah. How much are you spending on average when you do an open house? How much is it costing you to do your ads, your balloons, your refreshments? Dan Kenney: Sure, probably $50 total between refreshments and the boosted posts and sometimes I’ll boost it a little bit more. I’m trying to get better with my Facebook ads as opposed to just my boosted posts because I know there’s more value in them, I just haven’t delved into them yet enough. Lori Ballen: I’ll have to add a training video on doing Facebook ads for open houses, there are so many great ways we can do that. All right, but it sounds like you’re doing great and you’re getting good traffic. You’re getting a lot of people to your door and you’re closing a lot of houses from open houses. So Dan before we have to get off here because we’ve gone a little bit over time. Do you think this is a scalable lead generation activity? Either farming or the open houses? Dan Kenney: Yes, farming without a doubt because obviously you just increase the size of your farm and that’s what I did, I started very small and it’s been just growing every year. I just let it grow out a little bit more and almost organically. 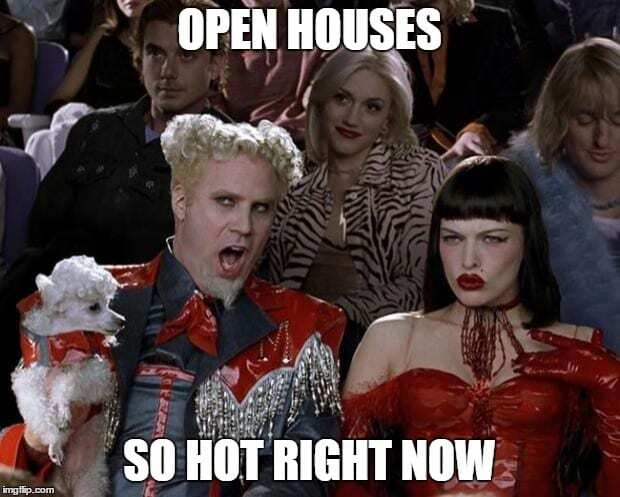 With open houses probably as well if you’re doing more open houses per week. I know Chris’s team, everybody on his team is required to do 50 a year. So they’re doing open houses every day of the week. So, what advice would you give to anybody who wants to follow your footsteps in the open houses? Dan Kenney: Sure, I would say follow the system. It’s all about the leading up to it. Look at “Shift,” look at that 7th level open house marketing system. And really that week leading up to the open house, that’s your job. Every phone call you make, every email you send, every text you send, every Facebook post you do, mention the open house. And for a brand new agent, find a vacant house, go there with your laptop and your hotspot every day and make that your office. Lori Ballen: All right Dan, that was very, very informational, I really appreciate you being patient and helping me break that down for people that they can learn from the best. You learned from Chris and people can learn from you and that’s how this whole chain works especially at Keller Williams with the training that we have here. Dan Kenney: Thank you, it was a pleasure Lori.